Every organization wants to hire the right employee. To do this, however, organizations need to first attract the right candidates, select the ones who have the capability, potential and the right culture fit to their organization. Assessments of all kinds – psychometric, aptitude, skill tests have been designed with one primary objective – remove the guesswork from candidate selection process. Started during the time of World War II, assessments have become a standard operating procedure in hiring for many organizations. 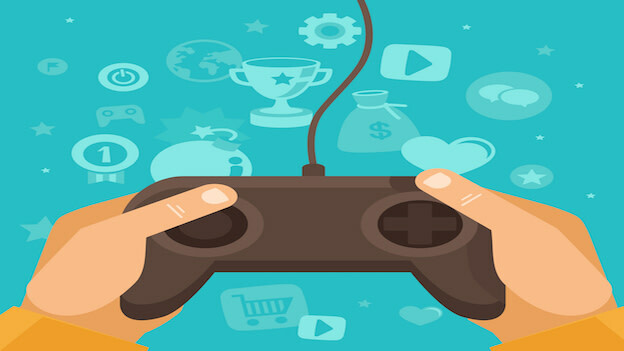 In a recent study by Cut-e (Cut-e, 2017), a specialist and world leader in talent measurement and psychometric assessment, it was found that 89% of HR & talent practitioners of MNCs would use games as part of their talent attraction campaign. 75% of HR and talent practitioners worldwide would use game based assessments as part of their screening strategy. Game based assessments are designed to psychometrically assess “how” player responds to the choices available in the context of the game. The psychometric measures are built into the structure of the game and the scenarios are based on multiple experiments conducted & proven to elicit defined behaviors in participants. Traits such as processing capacity, processing speed, innovation, risk taking, perseverance and others are measured using gaming constructs. Traditional psychometric assessments are self-reporting tools – they rely on the test-taker's ability and willingness to accurately describe themselves. Especially, when such tests are used for hiring, they don’t reveal the true picture of the test-takers. This results in a high number of socially desirable responses. And unwittingly, the organizations get caught in between the devil and deep sea while using the reports of such tests. According to a report titled ‘Smartphone User Persona Report (SUPR)’ 2015, (Vserve & Nielsen, 2015) smartphone users are spending 169 minutes per day on an average on their devices – with an average 3-4 new games/ apps being downloaded every month. It would thus be inevitable for companies to try and hire the right talent using smart phones. The power of data: Game based assessments capture 20 times the data of a traditional psychometric test. A traditional test captures 150 data points in a 30-minute session; whereas game based assessments typically capture 3000 data points in the same time. This implies that the report is far more data rich and the insights are more precise. Psychometric fingerprint: Game based assessments are based on information on ‘how’ a candidate plays a game or completes an assessment – such as their response time, the choices they make. A traditional test captures data based on the choices they make in a question answer format. So now with technology, it is possible to look at “how” candidates make choices rather than depend on just “what” choices they have made in a test. For instance- in a game based assessment where the test taker has to fill up the air in a maximum number of balloons, the test would measure how he fills up the balloons, how much risk is he willing to take before the balloon bursts, how his past experiences define his future actions. The vast number of data-points gathered in a game based assessment give much more information to interpret, thus helping in generating more accurate reports. Highly engaging: Due to their high-quality graphics and interesting themes, the game based assessments are highly engaging. The experience becomes immersive for the test-taker, hence bringing out his/her natural responses towards situations. A recent study by Arctic Shores & Able Ventures showed that 76% candidates in India in top B - schools prefer a game based assessment over a traditional psychometric test. A validity study conducted by Lara Montefiori (Head of Psychology, Arctic Shores) (Montefiori, 2016) found that individuals were able to modify their scores in a personality questionnaire by pretending to be a ‘people person’. However, they were unable to do this to the same extent when using a game-based personality assessment. Game based assessments may, therefore, be more resistant to distortion than self-reported measures. Predictive analytics: The data rich reports can be used to run useful talent analytics. In a recent deployment with an organization, it was found that organization though wanting to hire candidates with an ability to innovate, were unconsciously hiring candidates who followed rules and procedures. This was going against the culture they wanted to build into the fabric of their company. Similarly, it was also found that it was possible to predict with a certain degree of accuracy the probability of hiring the candidates based on how he/ she had played the game and some key demographic variables. Easy to deploy and integrate: Game based assessments can be downloaded on any smartphone, tablet, desktop, laptop, with a digital footprint of as low as 40 Mb. Instant reports can be generated and the scores can be used for filtering the right candidate along with other data points. The scores can also be integrated with the existing Applicant Tracking Systems (ATS) of organizations. It is, but a matter of time before organizations realize the potential of using technology in assessments. High candidate engagement, more precise insights and predictive capability of these tests make it the future of assessments. However, it is also important to understand, how to choose the right assessment tool. The following practical tips help you in choosing the right assessment tool. Clear objective: It is important to know what needs to be measured and how that would be relevant for the organization. More often, organizations choose nice to have traits like innovation, risk taking etc. while they actually need employees who are compliance oriented. It is therefore important to identify and define the key traits appropriately. Conduct a detailed analysis: If the assessment is being conducted for a few specific roles, it is important to understand and define 'what good looks like'. It is critical that an objective profiling is done, in order to remove any unconscious bias. Based on this analysis, the right assessment can be chosen. Fair testing: The game based assessment should give every candidate an equal chance of success. Candidates should be able to play the game on any standard smartphone/tablet. The layout and format should resize appropriately to display any text, image or video elements. The candidates should be able to play the game even if they have no previous gaming experience. Ensure that the reliability and validity tests have been done and the tests meet the standards of credible institutions like British Psychological Society. Immersive experience: Run a pilot within the same demographic group in your organization to check, if the game is engaging. It is important that the candidate’s experience is immersive to make the entire assessment successful. This would definitely be a great employer branding exercise if the game is chosen well. Create a norm group: Based on the data-points gathered in the pilot exercise, it is critical to define a norm group which essentially sets a benchmark point for the high and low scores. This will help in identifying the most suitable candidates for the organization. Communicate with the candidates: It is important to share objective and feedback with the candidate for a good experience. Clarify to the candidates before they play the game that it is a test and not a fun experience. Post the test, organizations must share the report or at least a quick feedback with the candidate on the process and how their skills and behaviors do not match with what the organization is looking for. Game based assessments are a new option for screening candidates while providing an immersive experience. They help in engaging prospective talent from diverse backgrounds and provide rich data for objective selection. To be effective, game-based assessments must be grounded in scientifically validated psychometric rigor and they should provide meaningful, job-relevant insights about candidates. This is now possible by blending big data and games together to provide an accurate and scientifically validated inference. Cut-e. (2017). White Paper: Ahead of the game. Montefiori, L. (2016). Game Based Assessments, insights from a Tech Start-up. Symposium/ Forum on Game - Based Assessments- Concepts & Insight from Research & Practice. Vserve, & Nielsen. (2015). Smartphone User Persona Report (SUPR). Smita Dinesh is the MD & Founder of Able Ventures, a psychometrics assessment and training firm based out of India.